Say hello to Christina Esa! 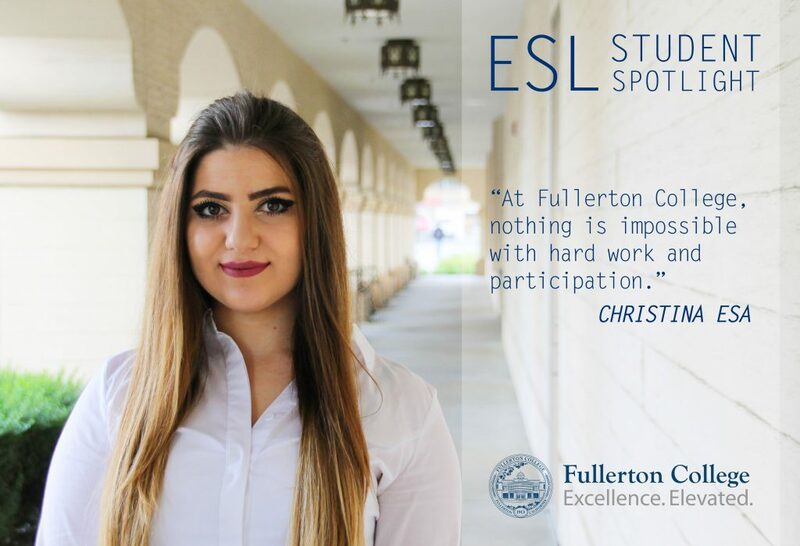 Christina came from Syria four years ago and started taking ESL classes at Fullerton College last year. After Fullerton College, she plans on transferring to a 4-year university to complete a degree in Chemistry. She credits her ESL classes for improving her language skills, which has helped her in her other classes at Fullerton College. She has also recently started a part-time job at Disneyland.